Week 3 of the PLB Football Season saw the Belmopan Bandits head to San Felipe the scheduled date with San Felipe Barcelona and we join the action as Jeremy James tries to open the scoreboard for the Bandits with this launch that’s right at the goalkeeper, Bryan Hernandez. On this press by the Bandits, David Trapp’s shot at goal is rejected by good defense and then Lincoln Bejerano’s offering misses the target. The breakthrough for the visitors comes when David Trapp threads the needle to Jeremy James who easily beats Hernandez with the right foot push to give the Bandits the 1-zip lead just before the half expires. In the opening moments of the 2nd half, Clifton hall of Barcelona gets off this nice looking splice, but Woodrow West rises to the occasion. At the other end, David Trapp picks out Jeremy James off this set piece but the header inches past the far upright. On the very next press, David Trapp runs through the Barcelona defense only to allow Bryan Hernandez to come up with a big time save. It’s David Trapp again and this time he sets up Jeremy James who becomes a victim of bad timing. Meanwhile Jacinto Bermudez gets a chance to double the Bandits lead but gets taken down from behind inside the box for which the referee rightly rules penalty. 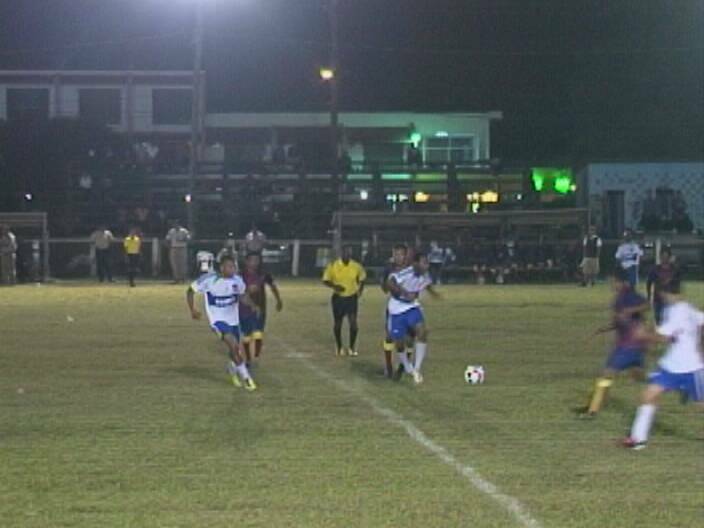 Belmopan Bandits send for Woodrow West who doesn’t get the job done on the penalty kick. So San Felipe Barcelona now goes for the tie as Havey Cruz pushes this ball at goal. Albert Thurton intervenes with a header that crashes on the near post—it’s picked up by Jeremy James who finally gets the ball off the pitch. Folks, here’s a nice save from the Barcelona keeper—Denmark Casey deals across the goal and finds Gilbert Swazo who fires a screamer, but Byran Hernandez somehow gets a hand on it. 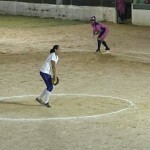 Belmopan Bandits goes on to post the 1-zip WIN in regulations to move up to 3rd place in Zone A. 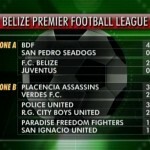 In other results from around the league, the Belize Defence Force consolidated its grip at the top of Zone A standings with a 4-zip bombing of the San Pedro Seadogs. FC Belize moved up to 2nd place by blanking a struggling Juventus ballclub in 2-zip final score. Over in Zone B, Placencia Assassins burned Verdes FC in a 3-2 finish to lead this group into the standings. Police United won its 1st game in 3 tries with a 3-2 WIN over RG City Boys while Paradise Freedom Fighters and San Ignacio FC battled to a 1-1 tie. 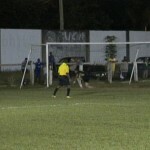 Looking to the weekend: on Saturday, the Bandits will host san Pedro and Placencia travels to San Ignacio United. 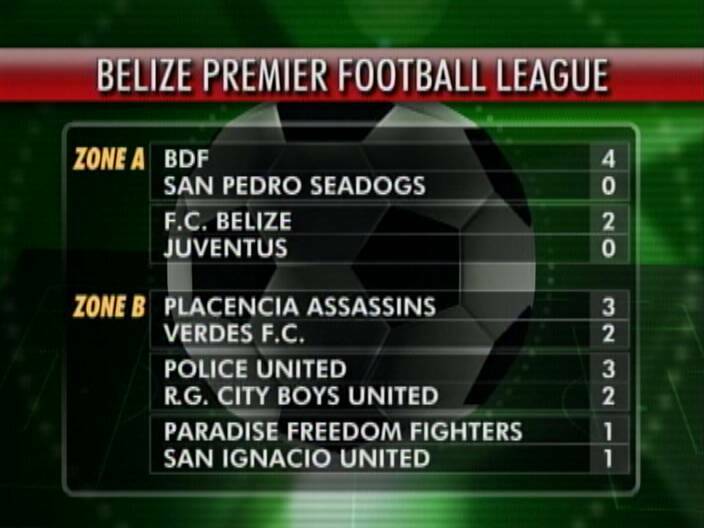 On Sunday, San Felipe plays host to Juventus, Police United gets a visit from Paradise Freedom Fighters; RG City Boys will be at the MCC Grounds against Verdes and out West, the Belize Defence Force will host FC Belize. 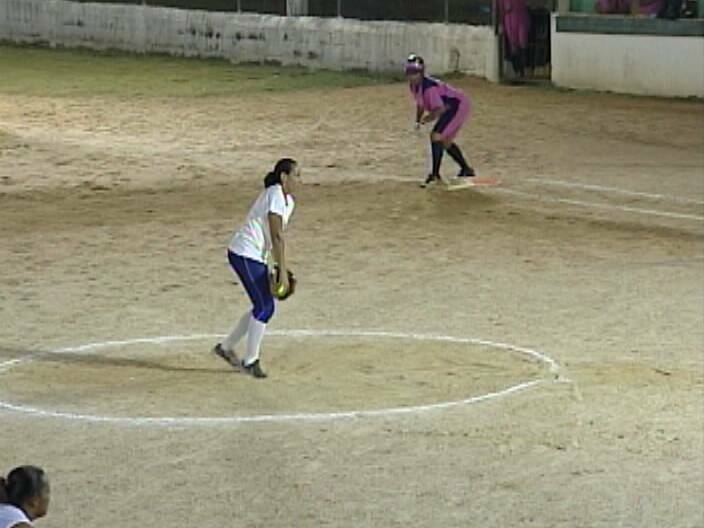 Now let’s head to Roger’s Stadium where on Friday, Mirage Lady rebels had the chance to sweep Raymond Lashley and Telemedia for the Belize City Senior Female Title in Game III of the series. Lady Rebels gets of with a bang scoring 3 runs off Mary Flowers in the 1st which forces Raymond Lasley to come out and read the riot act to his team. They respond with good defensive play to get the forced out at 3rd and get out of the inning. In their turn at bat, Norecia Frazier comes up with 1 on and she smashes a single to get on base. Mary Flowers then comes up and touches her counterpart Tanesha Jones with a ball that should have been caught and 1 run comes in. Norecia Frazier then scores off this bad pitch from Tanesha. Barbara Cadle gets on base with this long fly that is not caught and moves Flowers to 3rd. Ruth Lamb brings Mary Flowers in with this swing as Cadle is stopped at 3rd place. Martha Rhys comes up to bat and hits Tanesha and Barbara Cadle brings in the 4th run of the inning. In the 2nd, Lydia Cacho’s bunt produces an errant throw to 1st that gets Erline Baptist to 3rd, who would later score on a pass ball. Norecia Frazier hits to the shortstop and is thrown out at 1st. Lydia Cacho is caught up on the way home, but reaches anyway by evading the throw. With Barbara Cadle on 3rd base, the Rebels come up with another pass ball and she scores. At the end of the 2nd, it’s a 7-3 Telemedia lead and would never look back as they go on to post the 14-5 blowout and force a Game IV which comes up tomorrow at 6:30 p.m. Raymond Lashley’s Team must win again to force a decisive Game V. looking ahead the 5th Annual Charles Solis Memorial Tournament comes up this Sunday, September 16th at Roger’s Stadium. 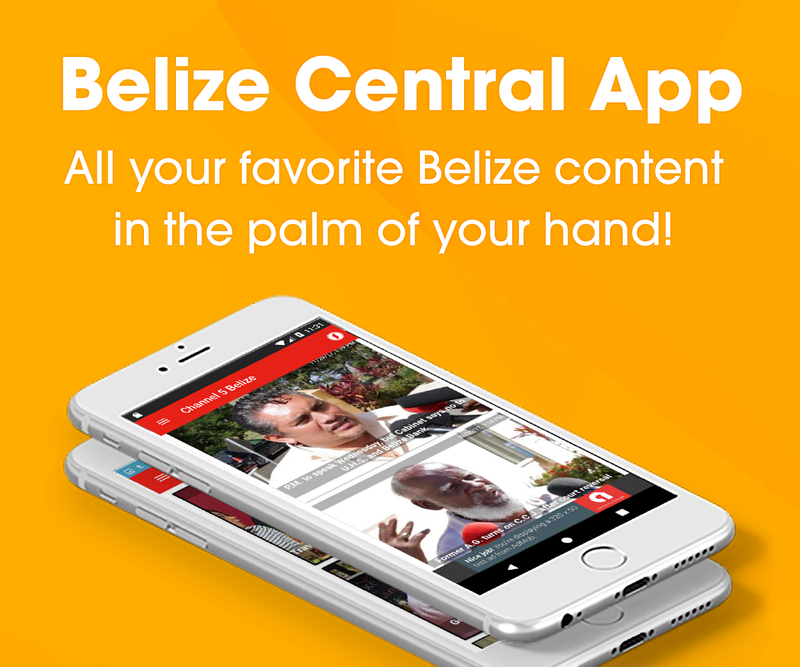 Meanwhile Folks, Belize’s participation in the CODICADER Games at Guatemala provide to be an unqualified success in 2012. Today, we caught up with the gold medal winner—Sadie Vernon High School of Belize City. Finally folks, here’s the results from the Belize City Council September Criterium Classic and it’s Patricia Chavarria taking the female class in uncontested fashion. And then Kaya Cattouse prevails over Shalini Zabaneh for 2nd. Ernest Meighan beats Wilbert Jones, Liam Stewart and Dwight Lopez in that order. Giovanni Lovell takes the junior category in impressive fashion, while Joel Borland takes 2nd and Oscar Quiros has to settle for 3rd. Meanwhile, the open category boils down to a head on battle between Gregory Lovell and Byron Pope and for a 2nd time in a row Greg Lovell wins this battle. Brandon Cattouse takes 3rd place, Allen Castillo finishes 4th and Leroy Cassasola rounds out the top 5. In the meantime, we say congratulations to Christopher Anderson who won the 7 to 9 years class. Ernest Faber won 10 to 11 years class, while Andrew Cain won both the 12 to fourteen class and the open youth race.